Yeah! 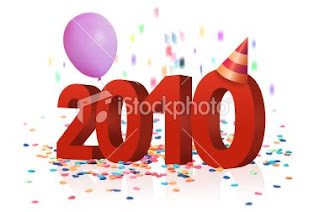 It's 2010! ! ! Some words for the New Year from the book "The Wisdom of Baltasar Gracian: A Practical Manual for Good and Perilous Times"
He who lives long lives well. No man is wise at all hours. Sharp words make more wounds than surgeons can heal. Life is less forbidding with someone at your side. Keep your wounds to your self. Stubbornness is a self-inflicted wound. Avoid being the subject of your conversation. Do not act in the heat of passion. He who speaks evil about another attracts evil to himself. Follow your own bent, no matter what people say. Virtue, not fortune, makes a man worth loving. At times, the remedy for an evil is to forget it. Keeping friends is more important then making them. Few men can do us good, nearly all can do us harm. HAPPPY NEW YEAR LOVELY READER!!! Its being a great year. I thank you all so much for you love and support. I wish you all a GREAT year and all your heart desire. I thought you might like to hear that some amazing new Mui Mui handbags are going on sale at Koodos.com from Sunday 10th Jan until next Thursday.